After losing his appeal to the U.S. Supreme Court this week, Robert Roberson III's last hope to escape his June 21 execution date is the state Board of Pardons and Parole. 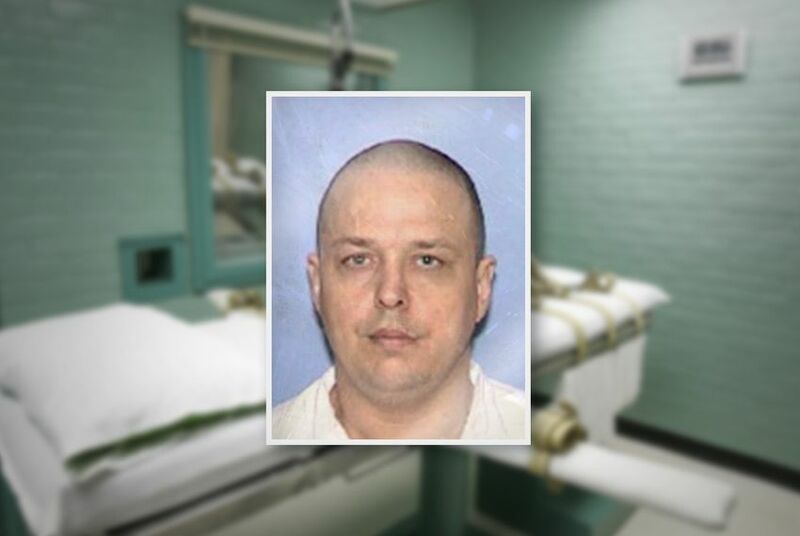 After the U.S. Supreme Court denied his bid for a new trial on Tuesday, a lawyer for Texas death row inmate Robert Roberson III says his client is seeking clemency from the state's Board of Pardon and Paroles with his June 21 execution date approaching. Roberson, on death row for killing his two-year-old daughter in 2002, told the high court his right to due process was violated when his trial judge did not allow an expert to testify about mental lapses he suffered due to a brain injury. "Obviously I'm not happy about the denial of the cert petition," said Seth Kretzer, one of Roberson's attorneys. "That being said, probably 98 percent of all cert petitions get denied. We were hopeful, but you know your odds before going into these things." The testimony Roberson's expert would have given during his trial, if allowed, could have confused a jury, been misleading or received undue weight, the state had argued in court filings. And even if the judge made a mistake by excluding the testimony, the error probably wouldn't have changed the jury's decision, Assistant Attorney General Jennifer Morris wrote for the state. The state also contended that the trial court didn't have to admit evidence of mental disease or capacity that would have challenged whether Roberson intentionally killed his daughter, especially because an insanity defense was not used. Texas does not allow defendants to assert a diminished-capacity defense in which they argue they shouldn't be held responsible because they weren't fully aware of their actions. The state, though, does allow a defendant to argue they did not have the mental ability to have criminal intent, which was Roberson's defense, Kretzer said. But barring one defense and not the other doesn't make sense, he said. "Those two concepts are fundamentally opposed," Kretzer said. "If you don't allow diminished capacity, but you do allow someone to show that they didn't have the ability to form the criminal intent, aren't you inherently saying that they have diminished capacity?" Before this petition, Roberson had another before the high court late last year. During the appeals process, Roberson sought new attorneys, saying his appointed ones, Kretzer and Wes Volberding, were ineffective and had conflicts of interest that prevented them from fully fighting for him. He went to Texas Defender Service, whose attorneys filed a petition with the Supreme Court asking it to order a lower court to appoint a third attorney. The court denied that request in December. Kretzer said he doesn't expect the parole board to take up the request until closer to the execution date.